Early morning, August 12. Hydrogen peroxide leaks from an I-15 torpedo aboard the Kursk. Liquid falls, drop by drop, onto a ring of copper insulation. At 11:29 a.m., seismographs in Norway detect an event of magnitude 1.5 on the Richter scale. The submarine sinks 108 metres to the bottom of the Barents Sea, fire in its hull. Two minutes later, a second torpedo explodes in its launching tube, triggering a chain reaction. Torpedo heads burst one by one, a long rosary of flames. Seismic needles shake as far as the New Mexico desert. Scientists in white coats and round glasses analyze scribbles of lead, pinpoint the location of the event fifty miles off the coast of Kola, in Russia. Holes in the hull the size of bodies. The whole sea trying to squeeze itself in. We feel bad, weakened by carbon dioxide. My mother, at fourteen, swims for hours before school every day. Her palms cup water, wrapped in bracelets of silver bubbles, rosaries of air. She breathes to the rhythm of morning prayer. Je vous salue Marie, pleine de grâce. A kick on Marie, a breath on grâce. Clockwork. Outside, nuns circle the pool in their black habits. Hands behind their backs, the white clouds of their voices. Snow falling on Quebec City’s copper roofs. A bell ringing. When she swims the backstroke, my mother balances a cold glass of water on her forehead. To learn to keep still. To learn not to shake when she runs out of breath, when breath runs out of her. The glass throws a ring of light across her freckled face. If it falls into the water, the clock will stop, go back to zero. Pressure is increasing in the compartment. 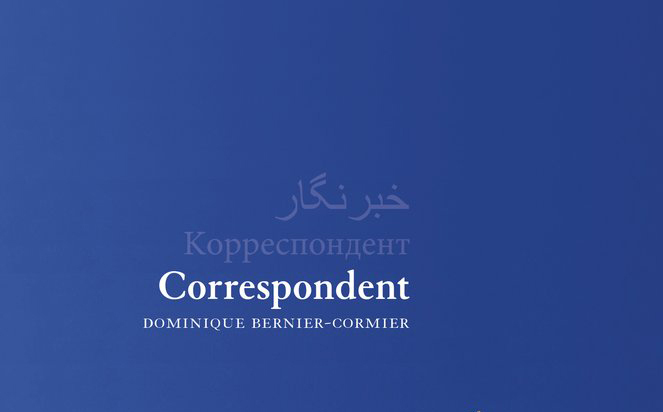 Dominique Bernier-Cormier was born in Quebec and grew up in Moscow, Paris and Beijing, where his father worked as a foreign correspondent for CBC/Radio-Canada. 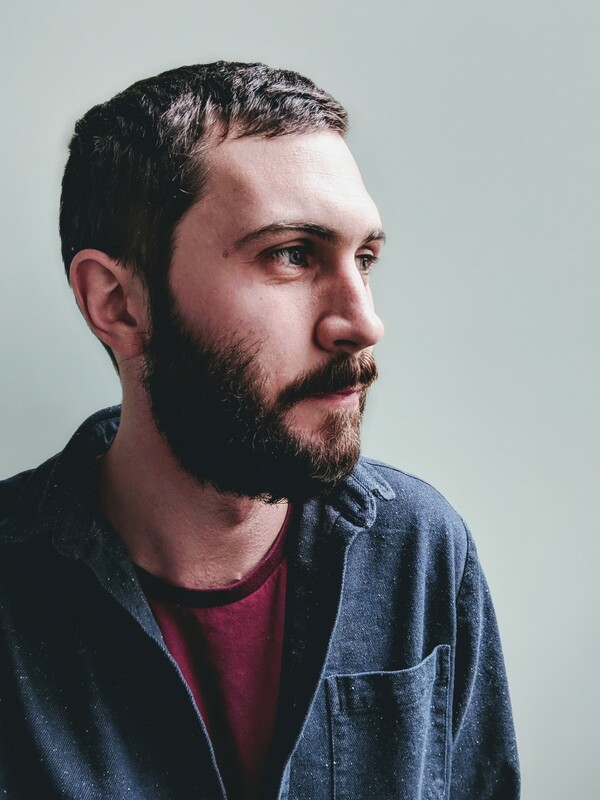 His poem “Fabric” won The Fiddlehead‘s Ralph Gustafson Prize in 2017. His first book, Correspondent, was published by icehouse (Goose Lane Editions) in September 2018. He is a poetry editor for Rahila’s Ghost Press. RT: This book stands out from most first books in a number of ways, especially its uniformity of content and form. 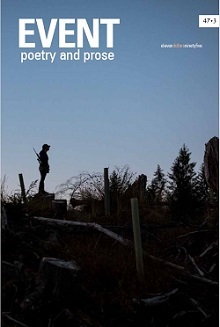 This is no general first “collection” of individual poems, and though it does explore some common “first book” themes (the author’s childhood, chiefly), it does so slantwise, in the cracks and margins of larger political stories. You write stand-alone non-prose poems too (like this and this and this). Could you speak about how and why you decided to lead off with this themed book and not a more general collection? To what extent was this book initially created in the shape we see now versus cajoled into its current shape and focus (I note that that last poem I linked to, “At the Izmailovo Flea Market” lives on in Correspondent as a significantly re-worked poem in the “Massoud” sequence). 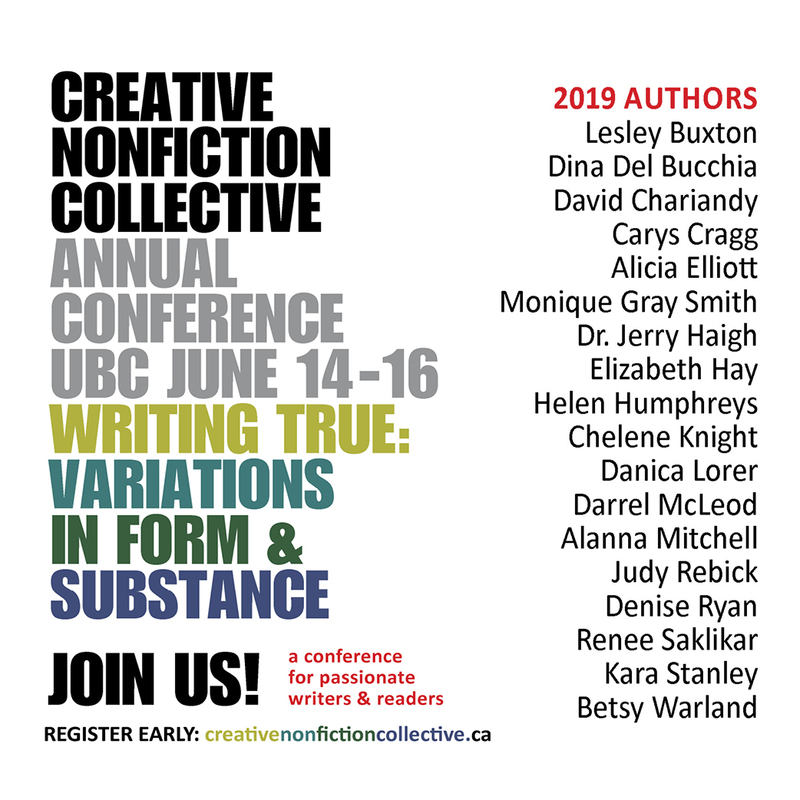 Do you have another unthemed accumulation of poems waiting in the wings? DBC: I wouldn’t say it was a “choice” to lead off with this book, rather than a collection of unthemed poems. Honestly, this one was just ready. It had found its form and its three central stories were told. I felt like it was prepared to go into the world, and I was prepared to “let go” of these images and narratives I’d been obsessed with for a long time. I saw this book as a project that had a clear end, whereas I think of writing my stand-alone poems as a continuous process. That being said, I think I’m close to having a collection’s worth of unthemed poems, yes. But I’m in no rush. I used to worry about this first book not being “representative” of my other work, and about people knowing me only as a “long-political-prose-poems-about-Russian-politics” poet. But I’ve learned to be proud of that formal and thematic range. Hopefully, each book will feel like a curve-ball! I think that’s a good goal. It took me two years to find the form of Correspondent, then two months to write it, and another year to obsessively micro-edit it. I think a lot of the poetic work had already been done by the time I found the form—I’d been mulling over certain images, certain turns of phrase, certain thematic connections for years at that point, and so when I finally found a frame for them, I was really well-prepared to write them into it. But I still have hundreds of pages of failed attempts, fragments, quotes, metaphors on my Google Drive. The epilogue references that process (These are the fragments left on the cutting room floor) and is made up of some of these abandoned lines. RT: Yes, finding the right “frame” can make all the difference, eh? The “frame” for these poems is quite literally rectangular, like a picture frame. Your chosen form (prose poems with the injection of found text from people connected to the political events) reminds me of both the Japanese haibun (a block of prose followed by a haiku-length poem) and the Spanish glosa (a form which integrates a poetic epigraph into the lines of the poem). There’s also something journalistic about prose poems, I find—the formality of having the words reach all the way to the far side of the page. How did you settle upon this structure for the book? What role do you hope the shape of the poems might play in how people experience the content of the book? DBC: The form definitely came from feeling torn between journalistic and poetic impulses. It was important to me to tell these three news stories with all the clarity and complexity they deserved. My regular “style” of poems didn’t allow for enough narrative clarity, but journalistic language didn’t allow for enough complexity in terms of images and metaphors. So I tried to strike in the middle. I think of each prose-poem as a one-minute stand-up from a journalist on scene. I tried to emulate that brevity, clarity, and physical immediacy: a narrative voice anchored in a visual background and contained in a rectangular frame for a brief window of time. There’s also a certain rhythm to the broadcast stand-up that I like—that cadence is very clear in my mind, from hearing my dad on TV throughout my childhood. It was very important for me to include the quotes, and they were there from the very beginning. The voices I quote in the book represent immense acts of courage and defiance, and my intention there was simply to amplify them. They are voices that manage to rise clearly out of the noise of war, of grief, of fear. They’re the final words on every page—after all the reporting and analysis and narration, they’re what’s left resonating through the white space. RT: Regarding the quotes and how they resonate, a profound turn occurs in Correspondent on page 43 (of 86 total pages—dead centre!) when the location of the quotes shifts from a haibun-style end-of-poem placement to a glosa-style integration throughout the text. The found lines being to crop up all over the place, almost chaotically. The poem on page 43 describes a translator returning to consciousness following the assassination of Ahmad Shah Massoud by suicide bombers—waking up in a new world, as it were—the body of one of the suicide bombers severed at the waist beside him. The horror of the poem seems to cleave the book in two—the found text is never the same after that. At what point in the assembling of this book did you decide upon that turn, and was it an easy decision to make? How did bringing that turn into the book help you see what you were doing with the book as a whole? DBC: Yes, good math! I have to give some credit to Sheryda Warrener for prompting that turn. At first, the quotes all ran at the bottom of the page. Sheryda gave me some edits and mentioned that the power of a pattern often comes from being established, then disrupted. So I broke the pattern, and it taught me what I was trying to do with the book. What I want to show is the intrusion of public narratives and images into private lives, and vice-versa. And so the two texts (narration and quotes) had to clash, blend, intrude, become entangled, start speaking to each other, in the way they do in our lives. The scene you mentioned is also the point in the book when journalism becomes literally violent—when the two terrorists, disguised as journalists, detonate explosives hidden in their camera, when the lens becomes weapon. From that point on, it becomes impossible to think of journalism as purely benevolent, objective and observant. Journalism has agency and consequences. It doesn’t just observe the world, it changes the landscape. And so it’s not just the quotes infiltrating the narrative, it’s also the narrative infiltrating the quotes and influencing the way we read and experience them. We’re in a time when a premium is (understandably) put on “telling your own story,” which puts a writer like you in a bit of a spot! To what extent do you think of this book as a part of your life versus apart from your life? And how important is it to you to make that distinction, especially in a highly interconnected world where major events in one part of the world are experienced in real time (and via the same media) on the other side of the planet? DBC: The question of how much this book is part of/apart from my life is one that I constantly asked myself as I was writing it, and that I keep asking myself. I think it’s a really important one. I’ve been thinking a lot lately about how to navigate other cultures, countries and stories in a responsible way. I think that ethically responsible journalism, and documentary poetry, needs to perform a sort of double-think: it needs to make itself as transparent as possible, as much a clear vehicle for other people’s stories and voices, and at the same time be hyper-aware that it can never be that, that any story that passes through it will necessarily be changed, be affected, be distorted. I think it’s about both minimizing that distortion, and also drawing attention to it and examining it. In a way, this book is a work of translation, and therefore a record of failure. Translations are never able to fully capture and represent the original. It’s important to acknowledge that, to be aware of what’s lost in translation. It’s the first step. But then, we’re able to also ask what’s gained in translation. I don’t think this is a book about the Kursk, or Massoud’s assassination, or the Nord-Ost hostage crisis; it’s a book about how these stories were processed through my particular body and memory, and what happens to them when they pass through the filters of journalism, translation and poetry. RT: On the theme of translation: you’ve written in the past about writing in English as a native French speaker, but I wonder about it particularly here, in exploring these stories which took place primarily in Russian, French and Dari. What role do you think language (and language barriers) played in your understanding and exploration of “foreignness,” both in your childhood and in the writing of this book? How do you think this book feel different if written in French or Russian? I think my childhood provided me with a pretty unique experience and understanding of “foreignness,” and I still think a lot about that concept. The term “foreign correspondent” itself carries a lot. The adjective “foreign” doesn’t actually qualify “correspondent” (as it should). “Foreign correspondent” means a correspondent of the foreign, not a correspondent who is foreign. That’s the wrong way around, I think. I think it’s important for anyone (but especially Anglophones, and especially poets) to experience their language being decentralized and destabilized; to find themselves walking down a street where they can’t understand the fragments of conversations floating by. It’s a good exercise in humility and empathy: I am not the centre, and There are meanings I don’t have access to. Interacting with other languages also teaches you how profoundly connected the acts of speaking and thinking are. In my family, we still use Russian and Mandarin words, and Parisian slang, because no word in our French-Canadian vocabulary would be able to convey their exact meanings, in all their cultural and sonic specificity. It’s not only our vocabulary that changed by living in these places, it’s also the concepts we have access to. It’s a scary and amazing discovery that a single language can’t say everything, that even our thinking is accented. RT: In ways we’ve discussed above, and others, a central theme in Correspondent is reportage (your father’s work as a CBC journalist being the impetus for your “entanglement” in these events). The book contains both a cautioning (“I hope // I remember it is the correspondent who is foreign // not the landscape”) and an embracing of journalistic practices (each section opens with a journalistic account of the news story under consideration, and similar journalistic descriptions pop up throughout the poems). Did writing this book, and navigating the various difficult decisions that had to be made in the process, bring you new understandings of your father’s work and the decisions he made when you were a child? DBC: Yes, it’s both a celebration and a criticism of journalism, especially of the work of the foreign correspondent, and I think I was dealing with similar dilemmas: how much do you show of yourself and how much do you let others speak through you? Where is the line between witnessing and voyeurism? I had really great discussions with my father about these issues. I had to make a decision very early on about historical accuracy. Would the book be simply “inspired” by these historical events, or would it have journalistic standards of factuality? I decided I wanted the work to be as historically accurate as possible, and that involved a lot of research and a lot of checking in with my father about his experiences. A few times, he even had to tell me to cut lines that I really loved because they didn’t reflect his experiences. He has incredible high standards of ethics when it comes to his work, and I tried to live up to that. So yes, I feel like I learned a lot from his work and the humility he brings to it. I’m learning how to efface myself at times, how to prioritize the story over my own voice and style. RT: Speaking of your father, Michel Cormier, he also wrote a book about this time in your family’s life—La Russie des illusions (and the damn thing was a finalist for the GG—yeesh! No pressure following that…). His book, too, has sections on the sinking of the Kursk and the assassination of Ahmad Shah Massoud. What was it like writing this book knowing that other one existed? Did you lean on it as a resource, or try to keep some distance from it? Obviously they are very different creatures, but how important it for you to cover new ground (or the same ground differently) in your book? Has Correspondent torn the family asunder re: which to display more prominently on the mantelpiece? DBC: Yes, good research, Rob! I think of my father’s book and mine as complementary, as two different perspectives on similar events—journalist vs. poet, adult versus child, French versus English. But yes, I did lean on it as a resource, and I checked in with him about using some of the stories he had covered and writing about some of his experiences. He was so great about it and supported me the whole way. As did my entire family. Writing Correspondent became an act of collective memory for us, I think. Conjuring images and sensations and details from that time in our lives was very much a collaborative act. I would often check-in with my brothers and parents about how they remembered certain things. It was a lot of fun to time-travel back to the early 2000s together. The two books are different in form, perspective and approach, but also intention. My father’s intention, I think, was to re-tell some of the news events he had covered in greater depth and with greater context than he could in a two-minute TV segment. Mine was to tell these stories more “poetically,” because there was something missing for me in the way journalists, political analysts and historians told them. I wanted to use more poetic language, yes, but I also wanted the stories to behave more like poems. In a way, the nineteen prose-poems in each section speak to each other the way lines do in a poem. I wanted image, as much as chronology, to determine the order of poems. The poems that open this interview, for example, are tied by ring of copper/ring of light, rosary of flames/rosaries of air, rather than timeline. The narrative is driven by echoes, by a logic of image. That allowed me, I think, to reach political conclusions without using the language of politics—to show the passport filled with shrapnel that acted as a shield, rather than to say that nationality is a privilege. 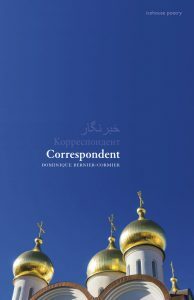 RT: You note at the end of the book that a portion of the proceeds from sales of Correspondent will be going to the Massoud Foundation. Could you speak a bit about the work of this organization, and why you chose to support them in this way? DBC: The Massoud Foundation is a non-profit, non-governmental organization established to preserve and spread the values, leadership and ideals of Ahmad Shah Massoud. It’s chaired by Massoud’s brother, and is involved in humanitarian and cultural efforts to improve the living standards of Afghan citizens, increase the literacy rate, and build schools, libraries and computer labs. It also funds the Mandegar Daily, an independent newspaper that advocates for democracy, anti-terrorism and the elimination of government corruption. Poetry is nice, but actual resources are essential. I wanted to give back to Massoud and his family in a tangible way, and in a way that they had control over. It made sense to me for the book sales to support literacy and freedom of the press in that way. Read more poems by Dominique Bernier-Cormier in EVENT 46.2 (available in print or digital editions). Rob Taylor lives in Port Moody, BC. You can read more of his interviews here.